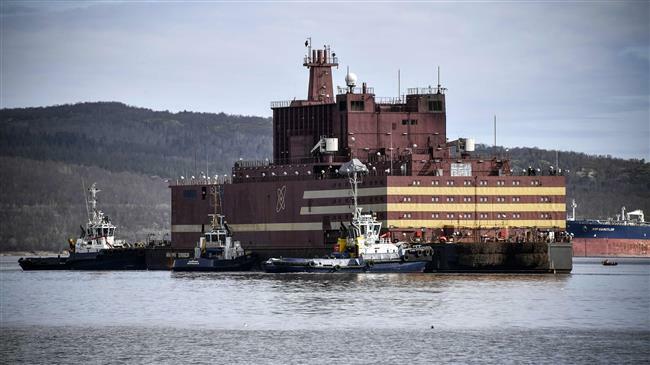 Russia on Saturday unveiled the world’s first floating nuclear power station at a ceremony in the port of the far northern city of Murmansk where it will be loaded with nuclear fuel before heading to eastern Siberia. Constructed by the state nuclear power firm Rosatom, the 144 by 30 meter (472 by 98 foot) ship holds two reactors with two 35 megawatt nuclear reactors that are similar to those used to power icebreaker ships. The 21,000-tonne barge will be towed in the summer of 2019 to the port of Pevek in the autonomous Chukotka region in Russia’s extreme northeast, 350 kilometers (217 miles) north of the Arctic Circle. The barge had initially been scheduled to be fueled in Saint Petersburg, but that work was moved to Murmansk instead due to concern in countries along the Baltic Sea.